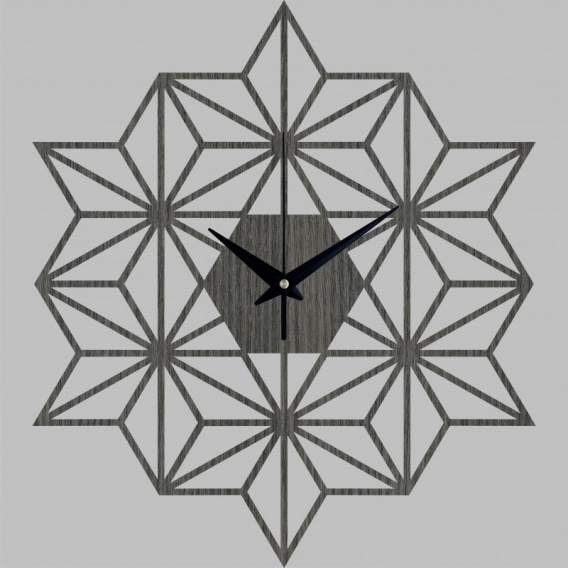 A flake-shaped design for this design clock ! This wall clock was made entirely of wood. The diameter of this modern clock is 43 cm. Worldwide shipping for this wooden clock. 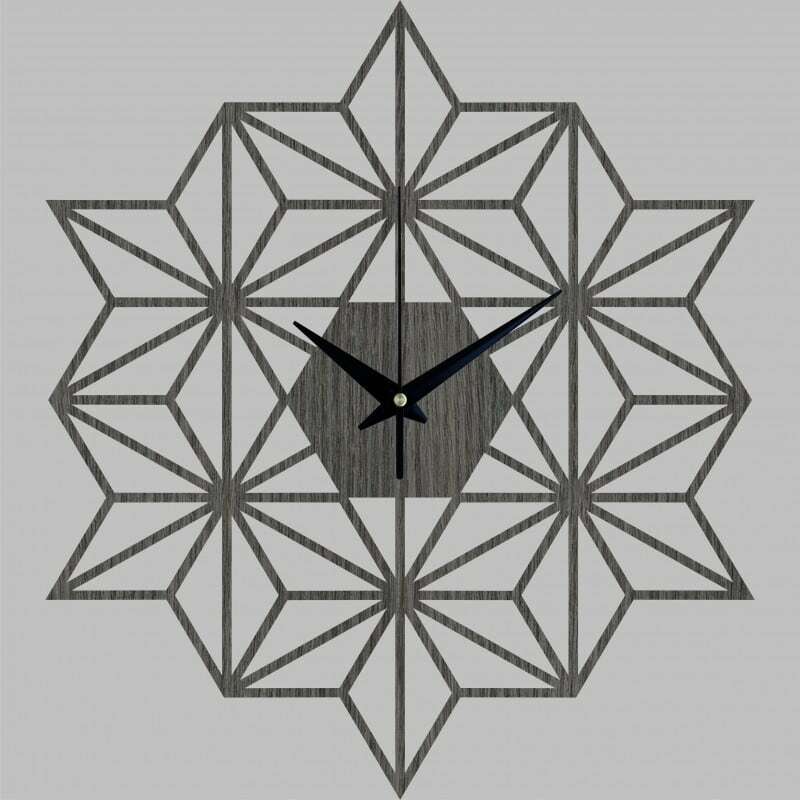 Finally a wooden wall clock with flake design ! Artists Artwall and Co offers a unique clock that will delight in trendy and contemporary wall decorations ... 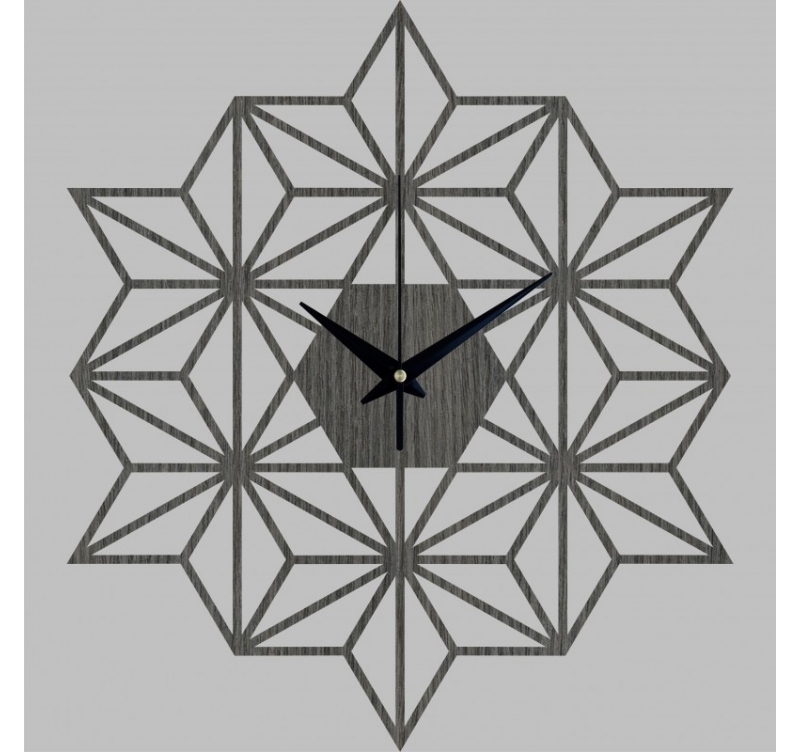 Composed of several flakes, this wall clock plays on the symmetry of its different parts with a graphite color. Ideal for a kitchen or a cozy living room, this clock can adapt to all styles. Delivered with its protective cardboard, this wall clock requires a type AA battery (not included). Our design clock collection is unique because of their construction from natural wood panel. The grain of the material is therefore made individually on each of the products.